Brand managers and marketers looking to reach college students certainly have their work cut out for them. This vast demographic has a lot of disposable income making them a valuable media target, but the space is also very competitive. According to one 2014 study, total student spending was approximately $545 billion, with $163 billion being discretionary student spending. These numbers mark a significant increase from 2013 estimates of $404 billion. As you may imagine, millions and millions of marketing dollars are spent trying to capture the attention of college students, and not all brands get the ROI they are looking for. By running an ad that’s trying too hard, or not trying hard enough, your brand can go from cool to not-so-cool overnight. Here are some helpful tips to let you know if you’re on the right track when putting together a marketing campaign geared toward college students. When considereing advertising to college students, keep these details in mind. Word-of-mouth marketing, or recommendations from friends and family, is still the number one avenue for influencing college student’s buying power. In order to create buzz, and really get people talking about your ad, your brand needs to break free from the saturated market, and aerial advertising is a good choice to put your brand front and center. Aerial advertising allows your brand to own the sky - literally. By flying in a clutter-free zone, your ad is bound to get the attention it deserves. Plus, the medium itself naturally generates buzz. When people hear a plane flying overhead it is human instinct to look up. By having the right messaging, you can really get people talking. 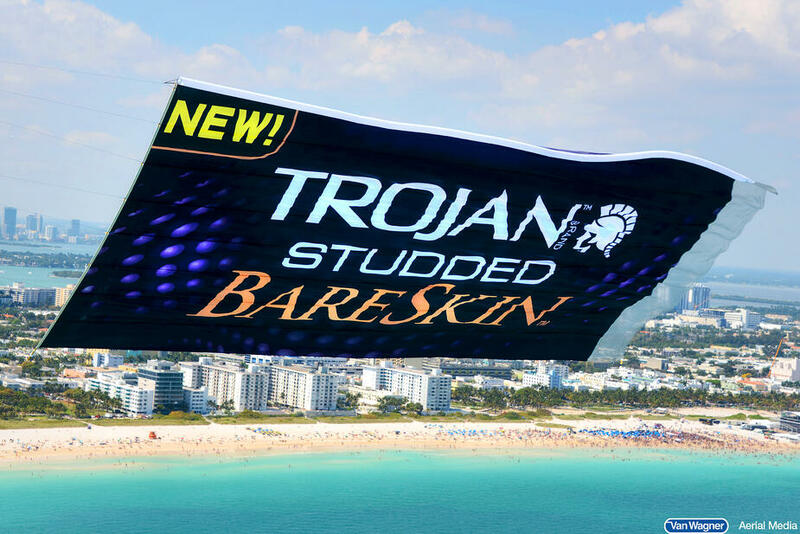 Check out what Trojan did in Spring Break markets this year. They combined aerial media with an on-ground activation to generate implied sponsorship exposure. There’s no reason your brand can’t do the same. Let’s face it; if your brand isn’t utilizing social media, than you are not doing it right – especially when it comes to targeting college students. Social media has completely revolutionized the way consumers interact with brands and college students were born into the new social world – it’s all they know! By using a hashtag on your aerial banner you are establishing trust, humanizing your brand, inviting students to learn more about you, and now when they snap a photo of your brilliantly planned aerial ad, they know exactly how to share it on Facebook, Twitter, Instagram, etc. 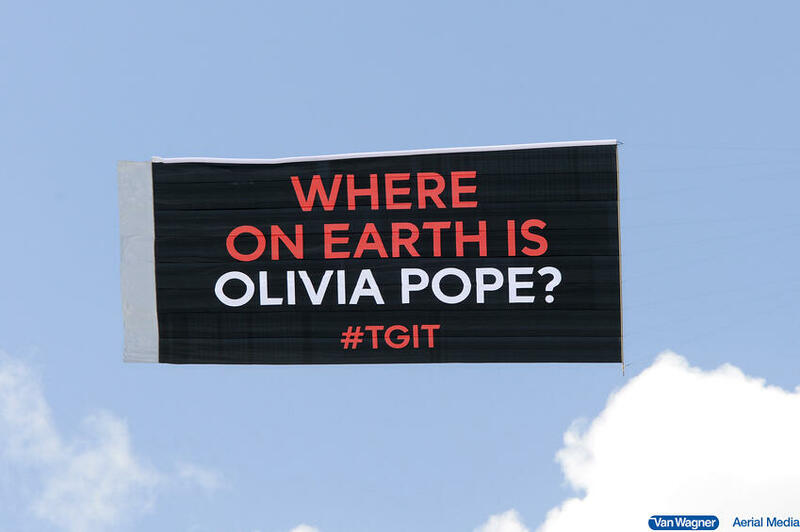 ABC’s hit show Scandal used an aerial banner to tease their season 4 premiere late last year and the response was overwhelming. People on both coasts tweeted about banners flying over California and New York beaches. Eventually, the buzz reached so many people that it began to trend globally on Twitter. It was safe to say people were excited and this form of guerilla marketing worked. 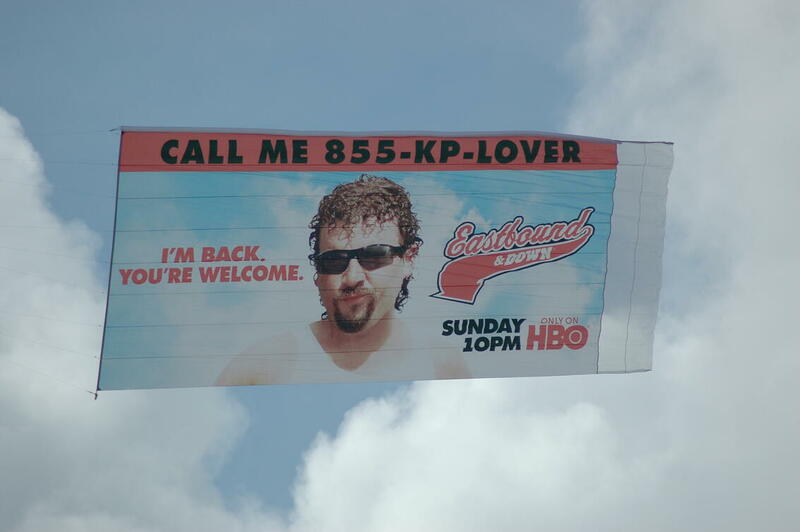 Humor and aerial advertising go perfectly together. The surprise of seeing an ad towed overhead coupled with a creative, funny message is a definite way to get people laughing and talking about your brand. If humor isn’t right for your brand, you need to make sure that your messaging is creative, relevant, and meaningful. Whether you are looking to target Spring Break markets, beaches, College Football Games or Bowl Games, aerial advertising can work for you. Airplane banners, helicopter banners, sky writing, hot air balloons and blimps all offer compelling ways to connect with consumers. Let us put together a campaign that addresses your chief marketing goals. Contact us today or click below for a free quote.